Barcelona is famous for its nightlife scene. Beach clubs blast the latest electronic and reggaeton music until 5:00 AM. Laid-back wine bars line the street, and sultry salsa dance floors are never far. 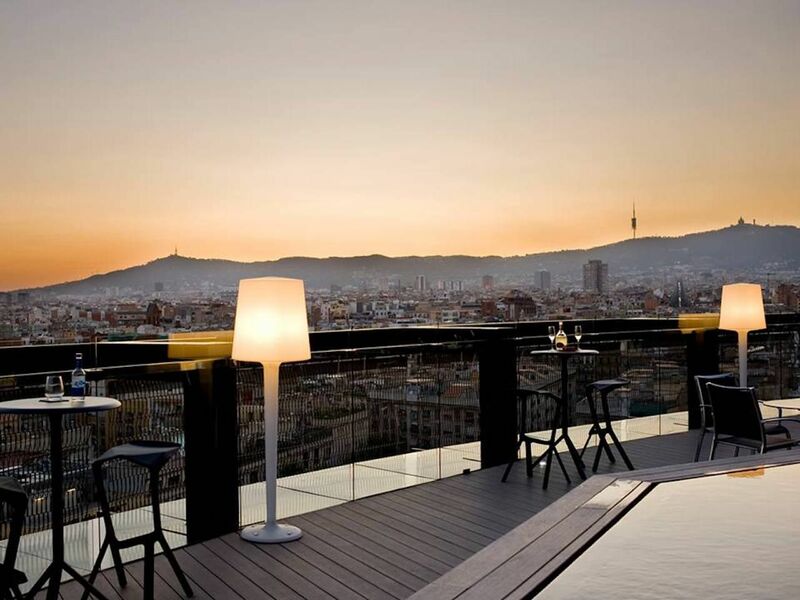 Whether you like to party on the wild side, gin and tonic in hand, or prefer to nurse a glass of Tempranillo at a small bar with live music, you’ll find plenty of options in Barcelona, no matter what day of the week it is. Here are the best nightlife spots in the city that takes siestas so that it can stay up all night. The beach strip: Shôko, Catwalk, CDLC, Pacha, W Hotel $$$ – Consider this the rite of passage for every partygoer in Barcelona. Free entrance until 1:00 AM guarantees you a night of loud music surrounded mostly by foreigners sporting blazers and button down shirts. Drinks are really expensive, and you won’t meet many locals here, but it’s worth experiencing the opulence of these bars at least once. Whether you stick to just one or do a crawl of all of the above, it’s sure to be a wild night. Sor Rita $ – This wacky bar is covered in retro-kitsch decorations, displaying images of famous figures like Marilyn Monroe, James Dean, and lots of lots of Jesus. The bar has many themed nights, as well as a resident fortune teller who can tell you your future over a drink, for a price. El Bombón $$ – Come to this colorful bar to dance to Caribbean beats with one of the best salsa-dancing crowds in town. 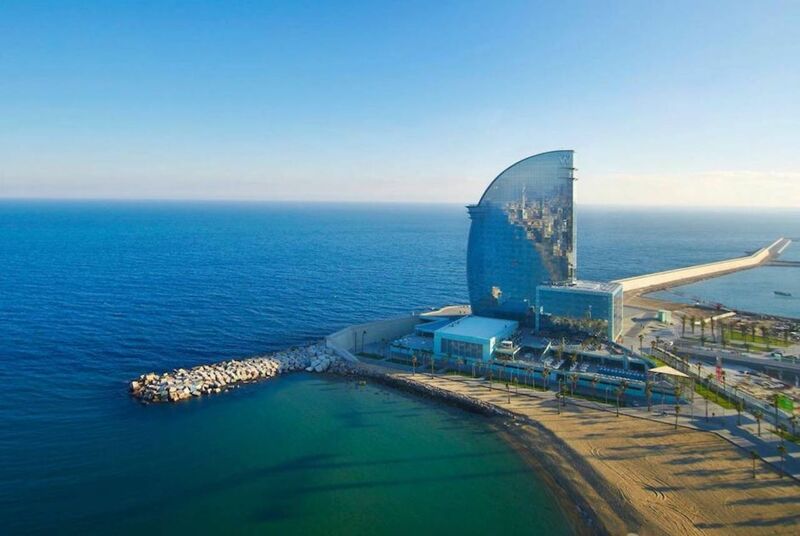 Barceló Raval 360 $$ – Take the elevator to the top of the Barcelo Hotel in Raval and enjoy 360-degree views on a starry night with a classic cocktail in hand. Mojito Club $$ – The level of salsa expertise is quite high at this popular dance spot, so beginners might want to start with a workshop before they hit the floor. But that also makes it a great bar to just watch the dancers do their thing while sipping one of the namesake mojitos. 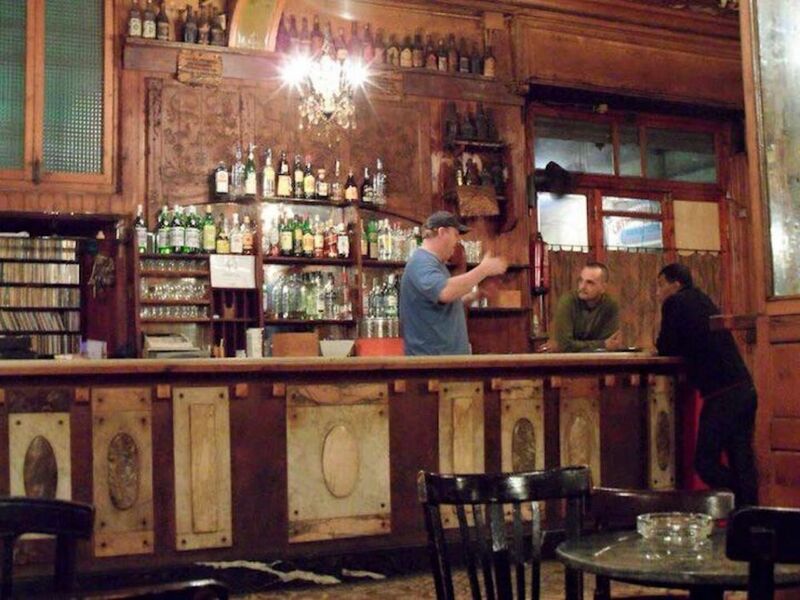 Bar Marcella $$ – This is the oldest bar in Barcelona, and it’s definitely the most iconic. 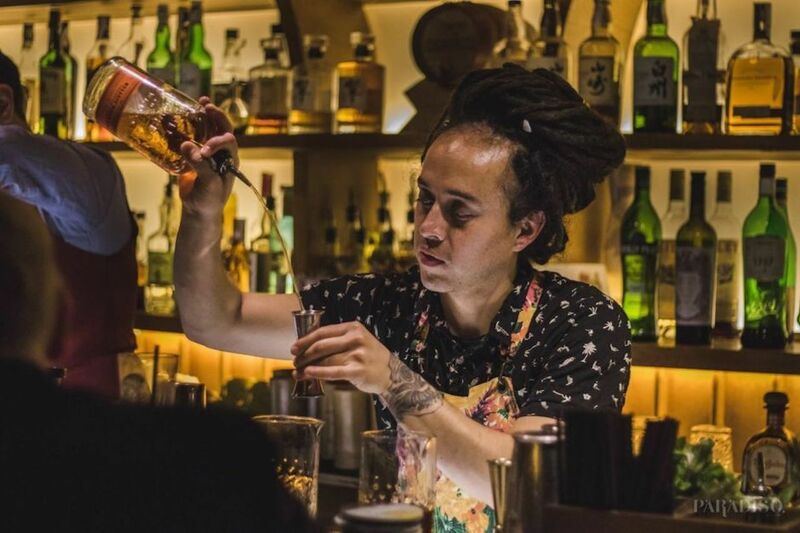 Its specialty is absinthe, and though it won’t make you hallucinate, it will put you in the company of famous artists and writers who enjoyed the drink, such as Picasso, Dali, and Orwell. El Xampanyet $ – Indulge in a ton of pintxos at this tapas bar, which is also known for serving dozens of types of Cava, Spanish sparkling wine. Ambar $$ – One of the nicest cocktail bars in El Raval, Ambar lures you in with its moody black and red interior, and it keeps you at the barstool with its expertly crafted tipples. Casa del Molinero $ – Barcelona loves its vermouth, and this bar makes the good stuff in house. It also has jamón hanging from the ceiling and one euro shots of harder booze. Mariatchi $ – This is something of a “secret” bar that locals hesitate to recommend in fear of it being overtaken by tourists. Owned by musician Manu Chau, El Mariatchi is easy to miss if you’re not looking for it, but it’s a great, laid-back spot to mingle with almost exclusively locals. 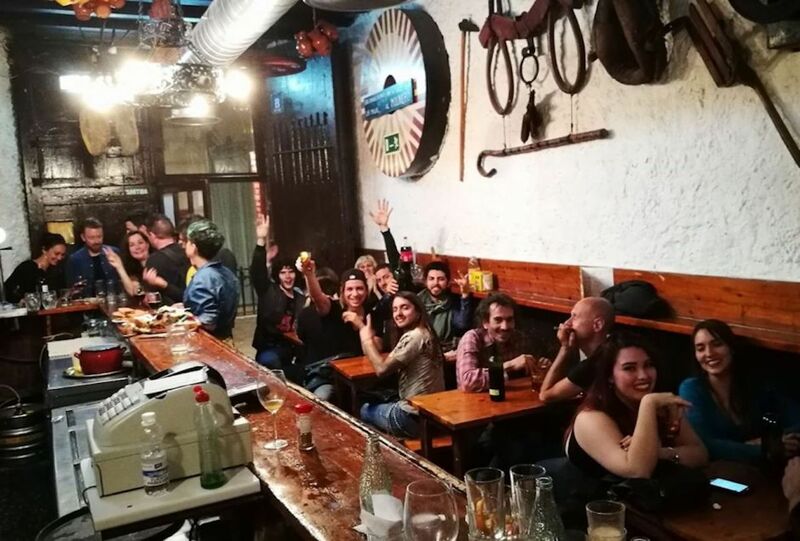 100 Montaditos $ – Locals love this place because it serves one euro beer and cheap fried tapas, so you can go with a large crew and comfortably buy a round for the whole table without doing major damage on your wallet. 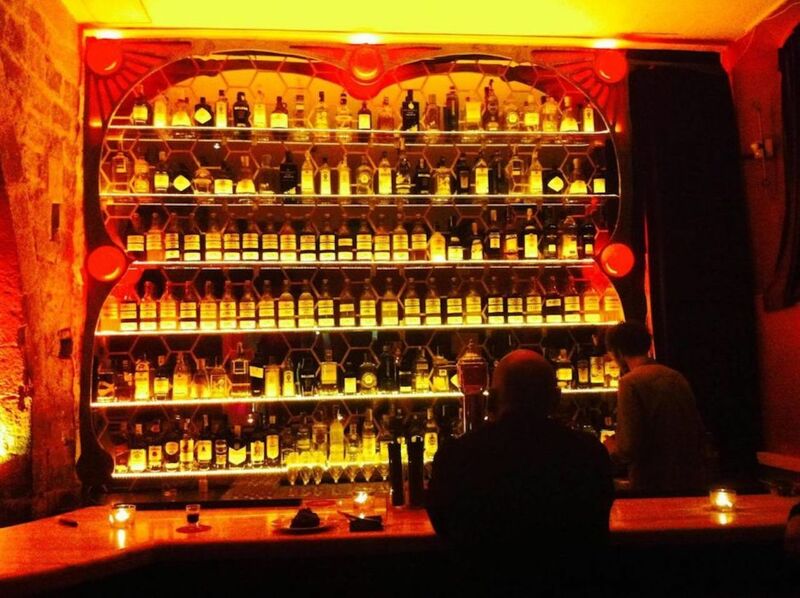 Paradiso $$ – This is an actual speakeasy masked as a pastrami sandwich shop. While the cocktails are quite pricey, it’s extremely fun to walk through a secret door to enter the upscale cocktail bar, pastrami sandwich in hand. Soda Acústic $$ – If you like a good jam session, drop by this intimate live music venue on Sunday. You can sit back and listen to jazz, or if you want to get in on the action, jump in and play a solo riff. Ziryab Cocktail Lounge $$ – If you like to smoke shisha, Ziryab is a low-key spot tucked into a dark alley in El Born where you can puff and pass with a group of friends. The hanging chairs upstairs are especially awesome, as are the lounge couches downstairs. The Lime House $$ – Spain is actually very well known for its gin and tonics. This bar takes the cocktail very seriously by giving you more than 20 gins to choose from. L’Ovella Negra $ – This bar has two locations: One that looks like a cave in El Gothic and another one that resembles a warehouse in Poblenou. Both are equally fun, but the Poblenou location is one of the best places to watch a football match. Jardin Botanic $$ – You’ll find many gay bars in Eixample, but Jardin Botanic is one of the most enjoyable. It has a small garden in the back, good drinks, and a super chill atmosphere. Nevermind $ – This is the bar of choice for Barcelona skaters. You can literally board right into the bar, grab a cheap can of beer, and hang out with a group of people who share a common interest, which makes for an easy conversation starter. Razzmatazz $$ – This is a hipster spot, mostly frequented by local twenty-somethings and Erasmus students, and its known to play independent and underrated electronic music. The dress code here is really laid-back; you can roll up in a plaid shirt and Timbs or wear a little black dress, your call. City Hall $$ – If you have no idea how to salsa or bachata but desperately want to learn, City Hall is the place to go. This club holds dance classes every Monday at 10:00 PM, and locals and tourists alike stop by to learn a few steps. Don’t worry about going alone; it’s very common, and people are more than willing to be dance partners, without any awkwardness. 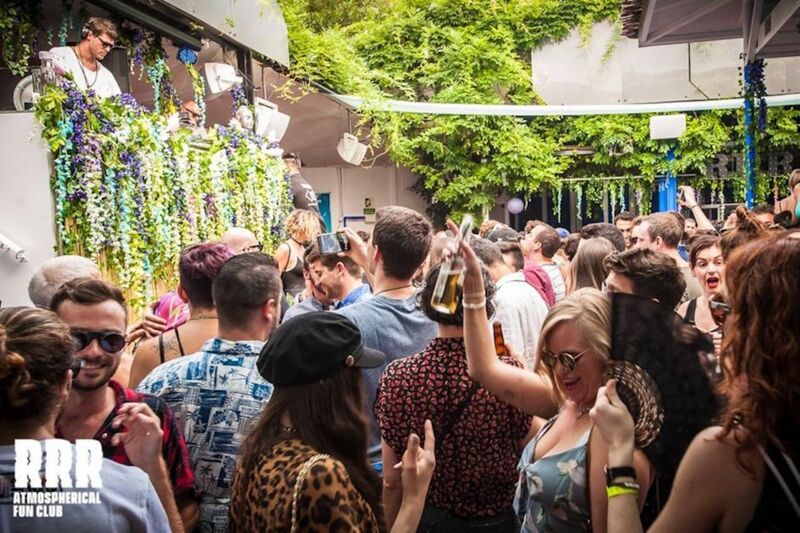 La Terrrazza $$$- This is one of the best clubs in Barcelona and a must-visit during summer. It’s located in historic Poble Espanyol, which makes you feel like you’re stepping back in time, walking around fortress walls only to find a massive open-air stage where DJs spin live. Dress up as you’ll find yourself amongst a fashionable crowd. 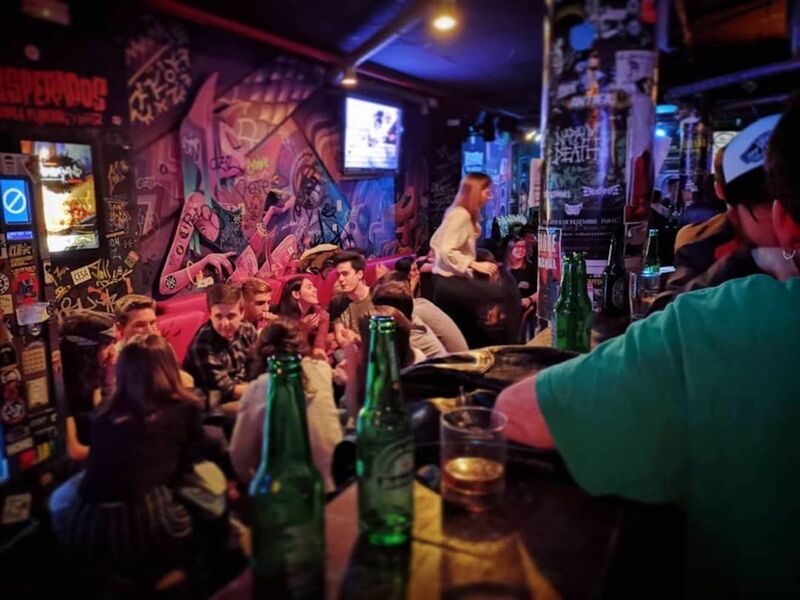 La Pipa Club $$ – If you’re into a more artistic kind of fun, hit up this speakeasy, where every Wednesday evening you get a free comedy show in English. The bar here is expensive, but even the snobbiest of cocktail connoisseurs will be impressed with its offerings. 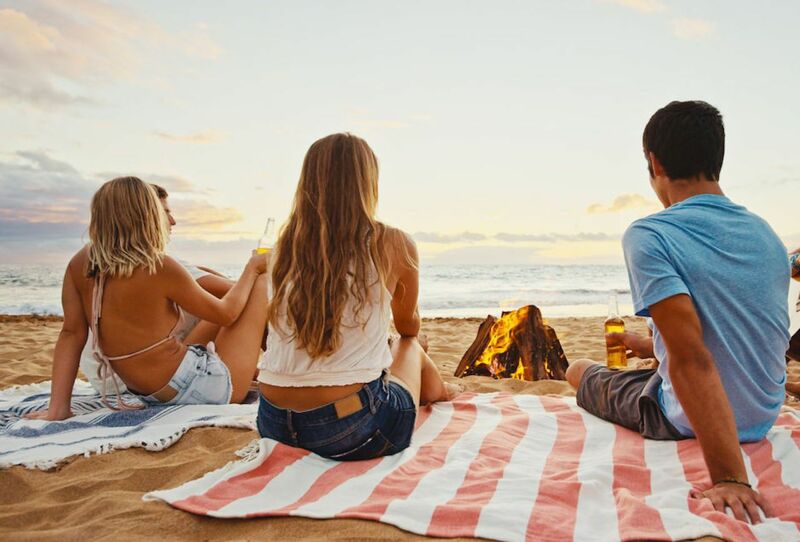 If you’d like to keep things even more casual and avoid a venue altogether, it’s very common for locals to just head to the beach with a six-pack of beer and hang out behind the swanky cubs. You’ll still hear the thumping music, without the sweaty people and cover charge, and you’ll get the added perk of being near the waves. Alternatively, you can join a botellon, a gathering of people (usually around a fountain) passing around bottles of booze with at least one person playing guitar and singing. While spontaneous, these events are frequent at Plaza de la Merce during summer at around 3:00 AM. Stores are legally obliged to stop selling beer after 11:00 PM, but if you forgot to stock up, no worries; there are always people wandering the streets asking, “Cerveza?” These beers are about a euro each, but if you say “Dos por uno,” you might be able to negotiate half price.